Roan Yellowthorn front woman Jackie McLean, supported by producer and multi-instrumentalist Shawn Strack, delivers ethereal indie rock songs with a singer/songwriter heart. Listeners find themselves singing-along to the catchy melodies while simultaneously becoming immersed in the story behind each song. 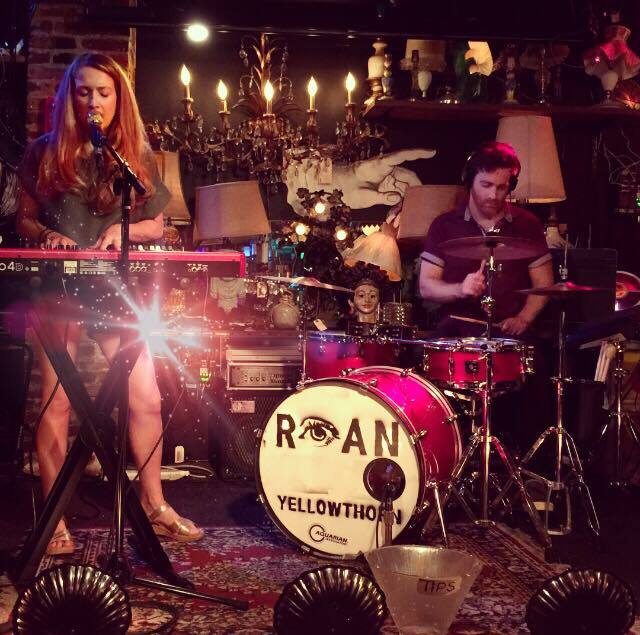 With their arresting sound, innovative collaborative process, and undeniable talent, Roan Yellowthorn is poised to be one of the most compelling acts of their generation. With tendrils in pop, rock, indie, and folk, their music is at once familiar and like no other music today. They recorded ‘Indigo,’ their first full-length album in Summer of 2017. The following spring, they caught the attention of Kirk Pasich, President of Blue Elan Records. Kirk flew them to LA and signed them on the spot. With influences ranging from Angel Olsen to ABBA to The National, ‘Indigo’ will be released in fall of 2018 on Blue Elan Records. As for the name, Roan Yellowthorn was the alternative name Jackie created for herself in college, with the intention of making it a permanent moniker. ‘I am drawn to Native American imagery and I wanted to create something whimsical, nature-based, and reflective of my true soul.’ It was intended to differentiate her from her given name (her father is singer/songwriter Don McLean). ‘I felt I needed to have my own space, a safe space that I could create and explore inside of. Coming up with my own name was a way to give myself that space.’ The name didn’t stick in college, but when Jackie started writing songs and wanted a pseudonym to create and perform under, Shawn suggested using Roan Yellowthorn, the name she’d crafted in college. This time, it stuck. At their home in upstate NY, Shawn and Jackie live in something of an artist enclave- Shawn is an English teacher and produces music and videos in their home studio, Jackie writes songs on the porch, and they practice in an open-air screen room. Making music together was not the thing that brought them together, but it has become their shared passion. With their mutual talent, drive, and vision, the sky’s the limit. On the horizon this year is the release of their album, a summer tour, music video filming, and college shows. After that, they plan to play at festivals, produce for other artists, and write. Jackie is already in the process of writing their next album.